Good things come in sixes! I’ve just found a package of six Fishy Strawberry Oversized Cardigans, that goes perfectly well with six of ANEXX’s KnitLegwarmers Boots. I know, my invy is a total mess. How could I have overlooked these yummy cardigans! 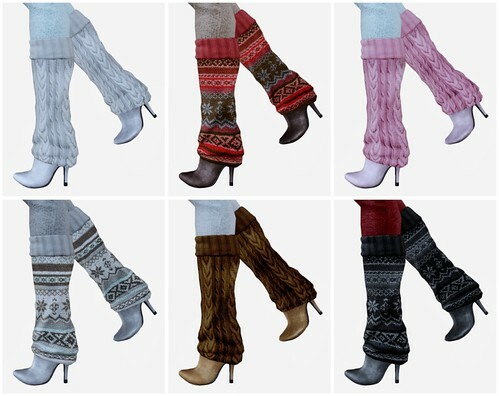 I am wearing the cozy knit leggings that’s included in every pair of ANEXX KnitLegwarmers boots. 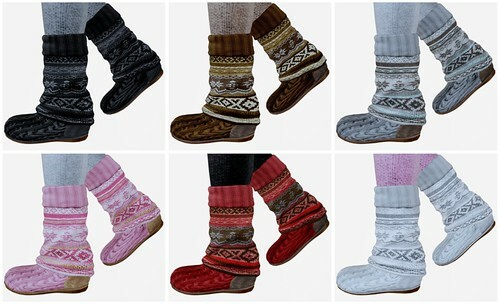 Each pair of boots has 13 different knit leggings colors to choose from and a Nordic or Normal print version of the boots.